Leo and Evan are back yet again after surviving months of recording difficulties involving work, holidays, and the end of times in snow form. 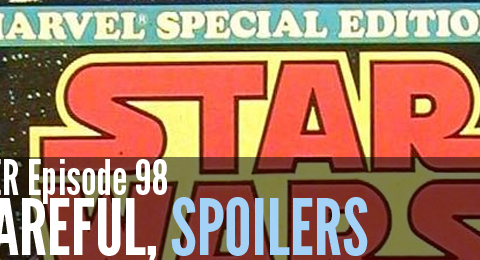 Not much game news, but the Disney era of Star Wars continues to evolve as they look at the end of the Dark Horse Comics run and the return to Marvel. Great to hear you guys talk about Star Wars again =). It was a great episode, really enjoyed the opinions on Dark Horse Star Wars Comic books and also the bit on Galactic Starfighter. Was wondering if you were going to talk about the new expansion for SWTOR but maybe that’s for next time. I don’t know if it’s too little too late for me though. Hope to hear you again soon =].